So last week finally Pablo and I got a chance to try Palazzo Italia, a huge and bit kitch Italian restaurant that opened some times ago on a Place de Paris corner, in the Station district. 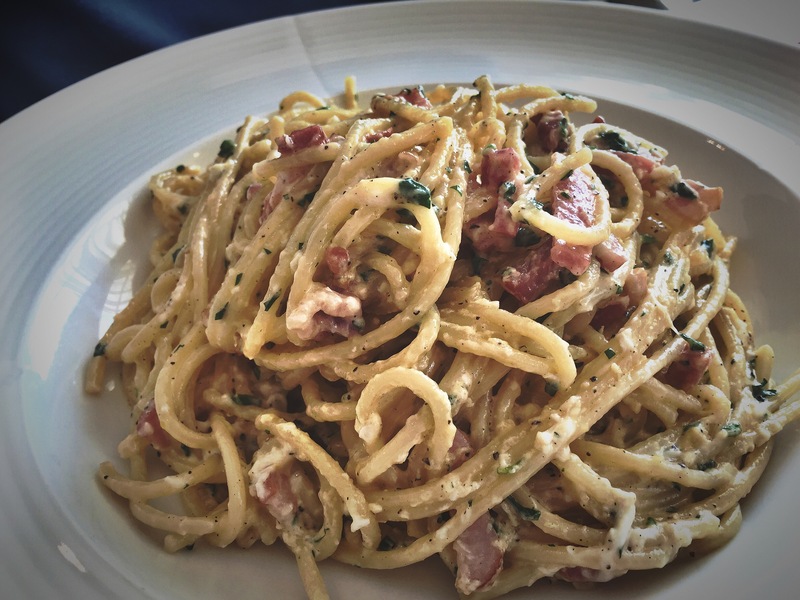 I had pizza with Parma ham while Pablo chose Carbonara pasta. After the pictures of our lunch, you will find my general impressions about Palazzo Italia. – Lovely service: the lady who welcomed and served us was extremely nice. 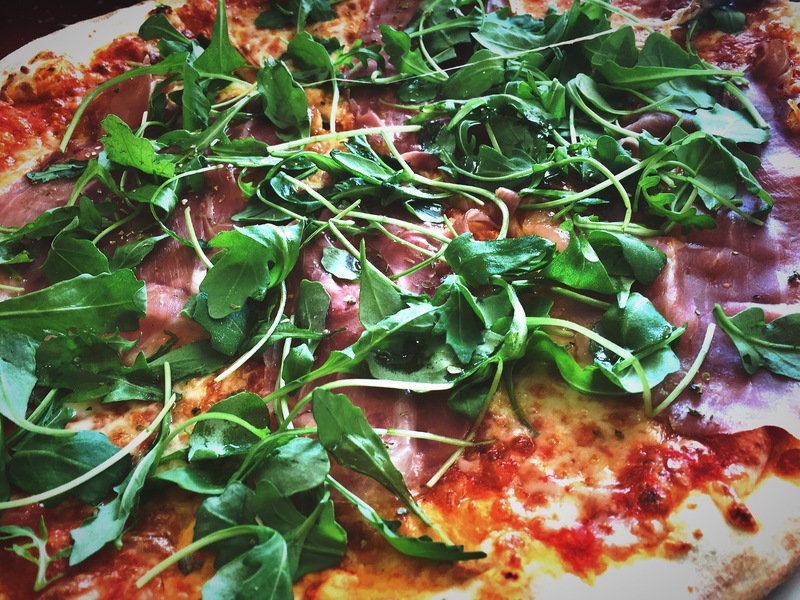 – The pizza dough was very good, thin but crunchy. – As said, relatively fair prices for the area and the kind of restaurant. – The cheese on my pizza was far from being mozzarella. It was, I believe, one of those prepared mix for pizza with cheesy taste. Don’t like. – Tables are very close one to the other and the place tends to be noisy. Fine for lunch, not well for dinner. So – our lunch was pleasant and I will definitely come back to Palazzo Italia for a relaxed lunch. I will not consider anyway for a dinner date as I prefer something a bit more sophisticated and calm – based on my standards..
Great review Corie. I hadn’t heard of this place before. I don’t like it when tables are too close either. Not sure if I’d try this place… knowing that there are nicer options around.